Vietnam is a country that all foodies should visit. 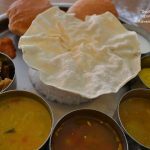 Like Thailand, they love using spices, and any visitor who gets to taste the local cuisine would not easily forget how good their gastronomic experiences had been. 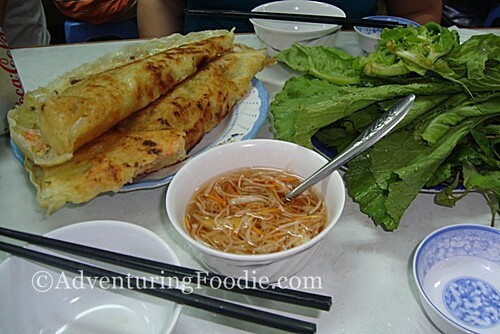 One food I can’t forget eating in Ho Chi Minh City is the banh xeo, or the Vietnamese crepe. It is a pancake containingbean sprouts, shrimp, and some ground pork. 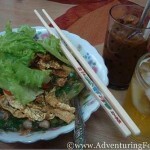 There’s also a vegetarian version, and the banh xeo is available everywhere. It is served with lettuce leaves. 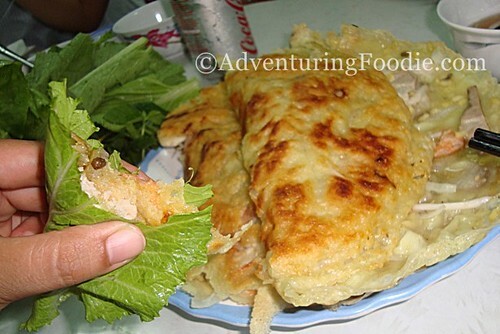 To eat a banh xeo, just break off a small piece of it with your hands, wrap it in lettuce, and dip it in the sauce provided. 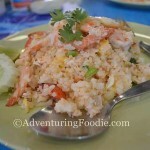 It’s a very filling meal indeed, especially when you drink Saigon beer with it! The best one I’ve tasted though is in the restaurant called Banh Xeo 46A, in Dinh Cong Trang Street at the corner Hai Ba Trung. The landmark is the pink-painted Tan Dinh Catholic Church. It’s located in a small alley, and every night, the street fills up with both locals and foreigners alike who come back again and again to have a taste of this delicious dish. 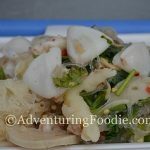 Vietnam may mean many things to a lot of people, but for those who appreciate a country’s cuisine, Vietnam’s dishes are sure to remain an unforgettable culinary experience. If you’re visiting Vietnam soon, don’t forget to check out my posts about the things you can do in Ho Chi Minh City.